1Department of Industrial Engineering, University of Bojnord, Bojnord, Iran. 2Department of Statistics, University of Bojnord, Bojnord, Iran. 3Quality Improvement Office, Razavi Hospital, Mashhad, Iran. One of the key applications of operational research in health systems management is to improve the mechanism of resource allocation and program planning in order to increase the system efficiency. This study seeks to offer an innovative method for the planning and scheduling of health service units with the aim of reducing the patients' Length of Stay (LOS) in the Cardiac Surgery Ward of Razavi Hospital of Mashhad. Also, to estimate the patients' LOS, two methods have been applied: multiple linear regression models and Bayesian networks. The introduced method takes into account all treatment processes of patients in an integrated system and by eliminating any undue waiting time, the length of stay can be reduced to a significant extent. Also, the system efficiency is considerably improved by resolving the current conflicts in the workflow of on-call physicians and optimum allocation of resources, gaining satisfaction of health sector officials and patients. linear regression models and Bayesian networks. The introduced method takes into account all treatment processes of patients in an integrated system and by eliminating any undue waiting time, the length of stay can be reduced to a significant extent. Also, the system efficiency is considerably improved by resolving the current conflicts in the workflow of on-call physicians and optimum allocation of resources, gaining satisfaction of health sector officials and patients. Abtahi H, Kazemi B., (2005). Productivity, Publishing Studies and Research Institute of Commerce, Tehran, Iran. Astaraky D., Patrick J., (2015). “A simulation based approximate dynamic programming approach to multi- class, multi-resource surgical scheduling”, European Journal of Operational Research, Vol. 245, No. 1, pp 309-319. Bai M., Storer R. H., Tonkay G. L., (2016). “A sample gradient-based algorithm for a multiple-OR and PACU surgery scheduling problem”, IISE Transactions, Vol. 49, No. 4, pp 367-380. Baker KR., (1974). Introduction to sequencing and scheduling, John Wiley & Sons. Bam M., Denton B. T., Van Oyen M. P., Cowen M. E., (2017). "Surgery scheduling with recovery resources", IISE Transactions. Barkaoui K., Dechambre P., Hachicha R., (2002). “Verification and optimisation of an operating room workflow”, InSystem Sciences, HICSS, Proceedings of the 35th Annual Hawaii International Conference, 2581-2590. Bruni ME., Beraldi P., Conforti D., (2015). “A stochastic programming approach for operating theatre scheduling under uncertainty”, IMA Journal of Management Mathematics, Vol. 26, No. 1, pp 99-119. Cardoen B., Demeulemeester E., Beliën J., (2010). “Operating room planning and scheduling: A literature review”, European Journal of Operational Research, Vol. 201, No. 3, pp 921-932. Demeulemeester E., Beliën J., Cardoen B., Samudra M., (2013). Operating room planning and scheduling, Handbook of healthcare operations management, Springer, New York. Deng Y., Shen S., Denton B., (2015). “Chance-Constrained Surgery Planning Under Uncertain or Ambiguous Surgery Durations”, Available at SSRN 2432375. Denton BT., Rahman A.S., Nelson H., Bailey AC., (2006). “Simulation of a multiple operating room surgical suite”, Winter Simulation Conference, Proceedings of the 38th conference on winter simulation, 414-424. Freedman, David A., (2009). Statistical Models: Theory and Practice, Cambridge University Press. Hans EW., Nieberg T., (2007). ”Operating room manager game”, INFORMS Transactions on Education, Vol. 8, No. 1, pp 25-36. Lauritzen S., (2004). Graphical Models, Clarendon Press. 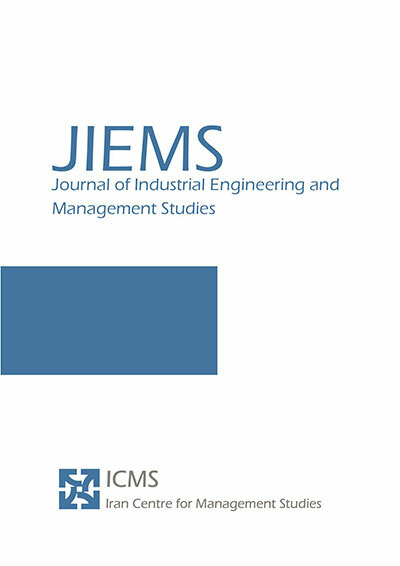 Lee S., Yih Y., (2012), “Surgery scheduling of multiple operating rooms under uncertainty and resource constraints of post-anesthesia care units”, Institute of Industrial Engineers-Publisher, InIIE Annual Conference. Lee S., Yih Y., (2014). “Reducing patient-flow delays in surgical suites through determining start-times of surgical cases”, European Journal of Operational Research, Vol. 238, No. 2, pp 620-629. Maschler J., Hackl T., Riedler M., Raidl G. R., (2017). “An Enhanced Iterated Greedy Metaheuristic for the Particle Therapy Patient Scheduling Problem”, In Proceedings of the 12th Metaheuristics International Conference, Barcelona, Spain. Morton T., Pentico DW., (1993). Heuristic scheduling systems: with applications to production systems and project management, John Wiley & Sons. Muchnik M., (1992), Complete guide to plan operations management, Prentice Hall, New Jersey. Neyshabouri S, Berg B., (2017). “Two-stage robust optimization approach to elective surgery and downstream capacity planning”, European Journal of Operational Research, Vol. 260, pp 21-40. Niu Q., Peng Q., El Mekkawy T., Tan YY., Bruant H., Bernaerdt L., (2011). “Performance analysis of the operating room using simulation”, Proceedings of the Canadian Engineering Education Association. Pinedo ML., (2012). Scheduling: theory, algorithms, and systems, 4thed, Springer Science & Business Media, New York. Saremi A., Jula P., ElMekkawy T., Wang GG., (2015). "Bi-criteria appointment scheduling of patients with heterogeneous service sequences", Expert Systems with Applications, 42(8), 4029-4041. Spirtes P, Glymour C, Scheines R., (1993). Causation, Prediction, and Search, Springer-verlag. Tànfani E., Testi A., (2010). “A pre-assignment heuristic algorithm for the Master Surgical Schedule Problem (MSSP)”, Annals of Operations Research, Vol. 178, No. 1, pp 105-119. Turhan A. M., Bilgen B., (2017). “Mixed integer programming based heuristics for the Patient Admission Scheduling problem”, Computers & Operations Research, Vol. 80, pp 38-49. Zhang B., Murali P., Dessouky MM., Belson D., (2009). “A mixed integer programming approach for allocating operating room capacity”, Journal of the Operational Research Society, Vol. 60, No. 5, pp 663-673.